Isn’t it fabulous? My logo was designed by graphic artist and author Kristen Caven. She took a vision that I had and made it real with her own creative touches and talent. Kristen paid close attention to my ideas but also spoke up when I was going astray. The best and most important part was she understood my vintage aesthetic and thus created the perfect Over Dressed for Life logo. BTW – this image is copyright protected. Catherine Middleton is getting some grief for the outfit she wore to a recent wedding. Evidently royals only wear black to funerals and lady royals always wear a bra. The princess-to-be chose a short flirty dress paired with a velvet coat (by Libelula) with a lovely brooch closure. Plum shoes and a clutch handbag added just the right touch of winter color. Catherine completed her ensemble with a rakish back hat. The dress is definitely sheer at the top and has a plunge neckline. British tabloids are squawking that she’s not wearing a bra. If true, well then, that is bad form. This possible fashion faux pas brings to mind Princess Diana’s fashion flub for her first official event as Prince Charles’ fiancé, in a puffy black dress with a revealing neckline. The tabloids had fun with that unfortunate choice. Catherine’s outfit would be considered perfectly acceptable among her peers, in fact quite tame. But she’s no longer an ordinary woman. She’s a princess-to-be and it’s going to be very interesting to observe how her new position influences her style. Princess-to-be Catherine Middleton (the Palace has requested we call her Catherine) will grace the February cover of British magazine, Tatler. Catherine did not pose, instead the magazine took one of the engagement photos and created an Andy Warhol style multi-color image. Tatler, a society glossy published by Conde Nast, is touting the February edition as a special collectors issue. The content includes royal wedding news and articles by people inside the royal circle. Oooo, Louis Vuitton. A fashionable guy himself, Phillip knows style so this was a true compliment. “No, no, it’s vintage,” I called back proud of my ice rink attire, if not my skating. I was wearing a 60s winter-white sweater with colorful attached flowers. 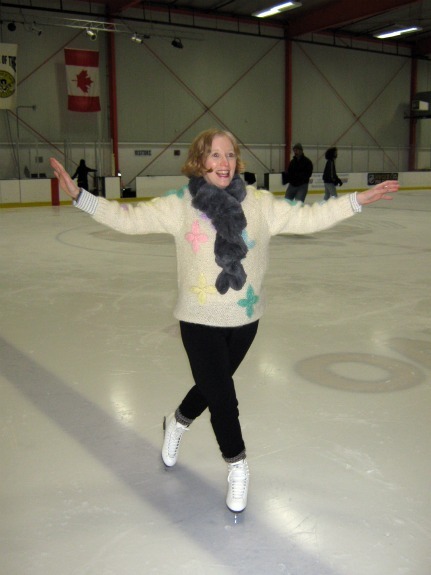 When I signed up for ice skating classes I quickly realized this would be a good time to pull out my vintage sweaters. Most of my small collection belonged to my mother and I like to pair them with black leggings and various scarves. But the “Louis Vuitton” sweater was a gift from my friend Melissa Houtte (author of the book – Alligators, Old Mink, and New Money). 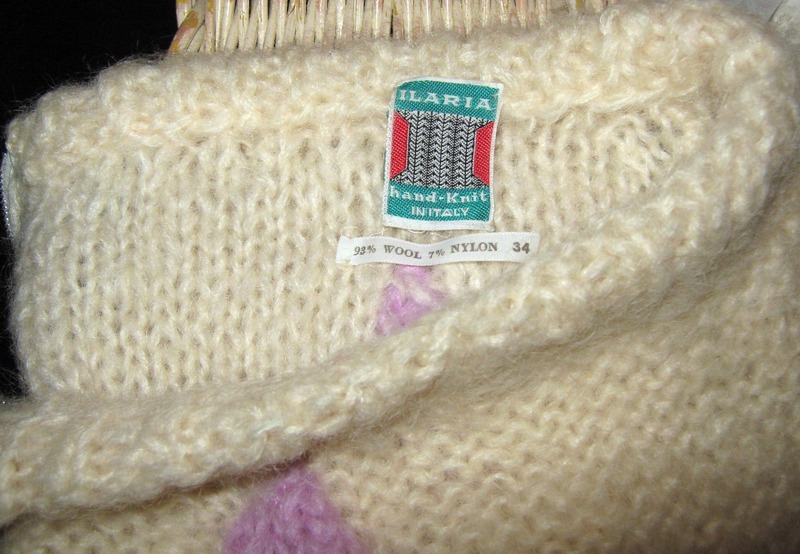 Hand knit from Italy, this vintage treasure is perfectly warm and itch free when worn with a cotton t-shirt underneath. There’s something old fashion about ice skating that inspires vintage winter accessories like knit sweaters, hats and gloves, scarves and headbands, how about ear muffs? And who says you have to wear pants? Pleated skirts with tights look sharp. There’s much fun to be had getting Over Dressed for the ice.